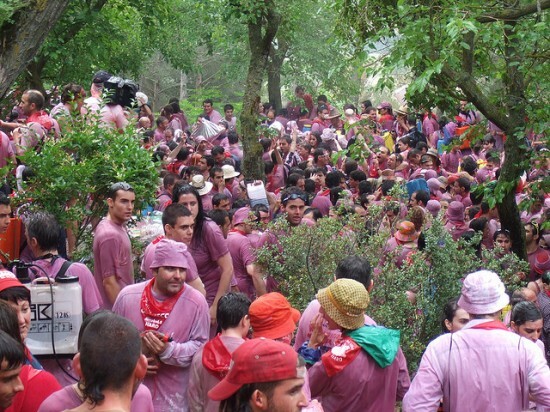 Every year, the small town of Haro, one of the biggest wine producers in Spain, hosts the traditional “Batalla del Vino”, the Wine Battle, where participants throw tons of red wine at each other. 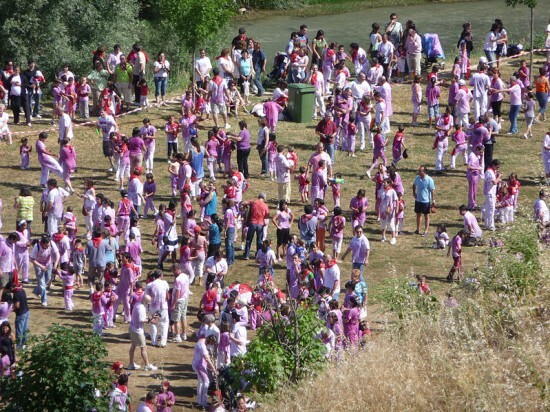 Part of the Haro Wine Festival, the annual Wine Battle takes place on June 29, the day of the patron saint San Pedro, and is attended by thousand of people from La Rioja region of northern Spain. The day starts early, at 7 am, with the town mayor parading through the town, on horseback. The procession of people old and young, dressed in white clothes, wearing red scarves and carrying all kinds of wine-filled recipients, follows him on foot through the nearby Mountains of Bilibio, all the way to a small chapel of San Felices. It’s a 7 km walk from Haro, but the fun everyone has after the short mass performed there. As soon as the mass ends, the wine battle begins. 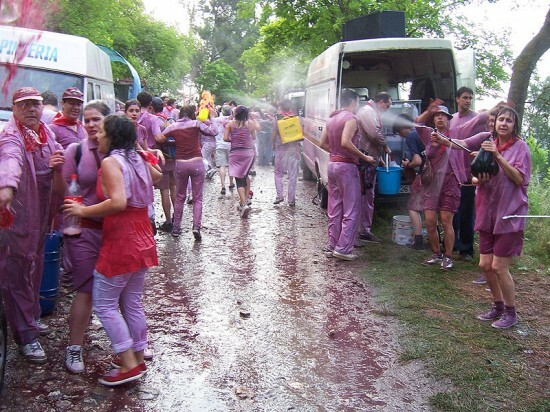 Some people pour buckets of red wine on each other, other sprinkle it from water guns, or throw bags filled with wine. It’s really up to the participants what kind of “weapons” they choose to bring to the Haro Wine Battle, as long as they don’t cause injuries and are full of wine. After a few hours of bathing in wine, the whole mountain smells like a regular bodega, and everyone’s clothes go from white to purple. 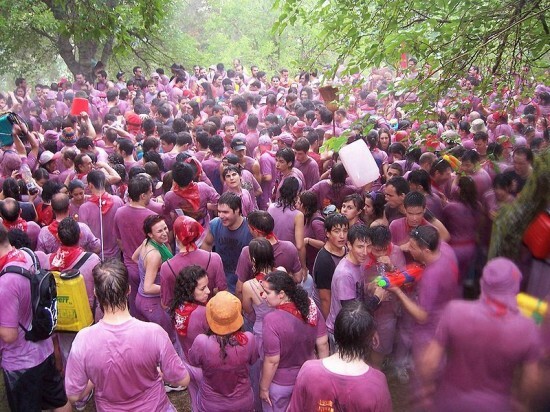 It’s estimated over 50,000 liters of wine are used every year, during this unique event. The Haro Wine Battle is linked to a dispute between Haro and the neighboring village of Miranda de Ebro, over who owns the mountains between the two settlements. The dispute can be traced back to the 10th century, but the history of the wine battle can be traced back to 1906.